As life with our son Wesley hits 6.5 months, certain patterns and tendencies are starting to appear. Those include nicknames we may call him from time to time. One of those — which I have no idea regarding origin — is "Buddy Boy." (Yeah, seriously, not really sure how that popped up). This appears on page 22 of G.I. 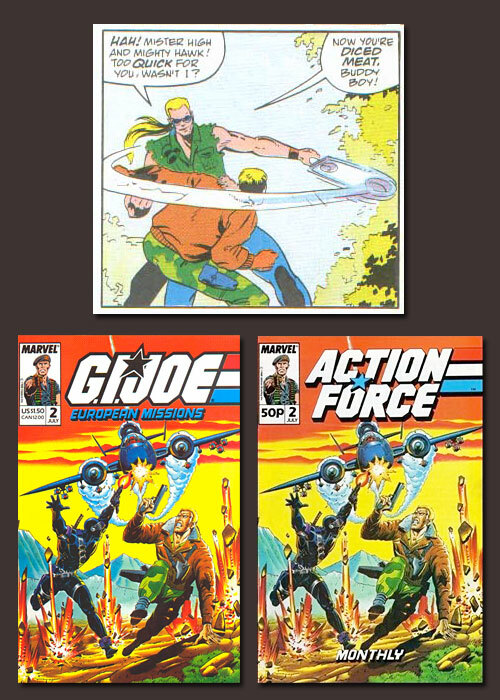 Joe European Missions #2 (July 1988), which was a reprint series of the UK's Action Force Monthly comics (sort of the international version of G.I. Joe that allowed Hasbro to sell more toys). I wanna see more blog posts about old G.I. Joe comics!